The Advertising Standards Authority (ASA) has rejected a complaint made by The Alliance for Better Food & Farming, which said a Facebook game for Kellogg's Krave cereal encouraged unhealthy eating habits in children. 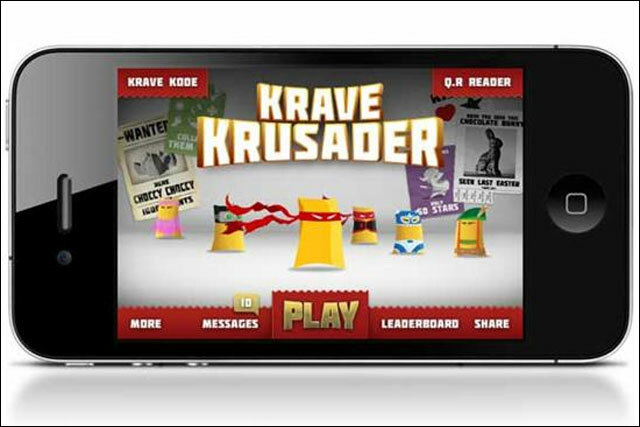 The Krave Krusader game, launched in June last year and created by CMW, features a piece of cereal dressed as a super hero. Players on Facebook have to guide the character through platforms and jumps, to chase pieces of chocolate. The game was also available for smartphones. The food pressure group complained to the ASA that the game encouraged poor nutritional habits and an unhealthy lifestyle in children. Kellogg said in its defence that the cereal was aimed at young adults and was marketed through appropriate channels to reach them, such as late-night TV and university campus sampling. It said it had chosen to place the game on Facebook because it had an age-gating system in place. Kellogg argued that Facebook checked players were over 17 before it enabled them to play the game. It added that Facebook checked that the date of birth of users was given some time before they attempted to play the game, so they would have no reason to misstate their age. Kellogg also argued that the prizes in the game, which included adult-sized T-shirts and sweatbands, were not designed to appeal to children. The ASA ruled that because Kellogg had taken steps to ensure that under-17-year-olds could not play the game, it was not intended for children and therefore did not encourage unhealthy eating habits. Last week, it emerged that Children's Food Campaign (CFC) was filing what it called a "super-complaint" to the ASA, about Krave, as well as Nesquik and Cadbury’s Buttons, as part of a move to curb the online marketing of "junk food" to children.